My name is Lydia and I'm an experienced and enthusiastic teacher of violin, viola, piano, and Music Theory. I am a graduate of the Royal Academy of Music (MA) and the University of Cambridge (BA). I am a professional viola player and enjoy a mixture of Chamber music and orchestral work. I really enjoy teaching and sharing music with others, and I am happy to give a free consultation lesson if you’re interested in learning with me. I have taught private pupils of all ages from beginner to advanced levels. I am experienced in giving music lessons in Primary Schools for the Musicians’ Company, Music for Open Ears, and In Harmony. I have taught at Secondary school, and given music workshops to under 5’s -and their carers. 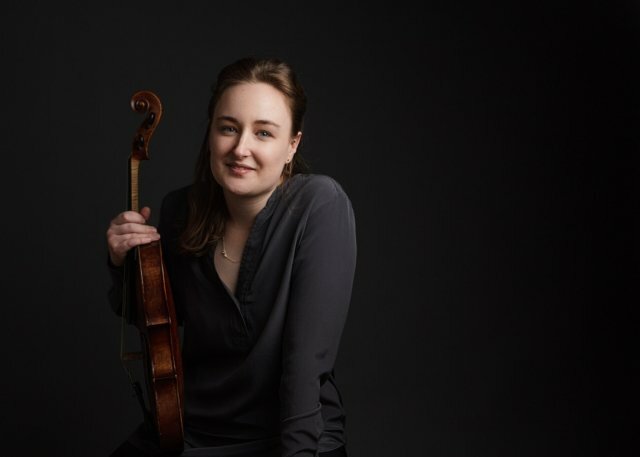 I have tutored undergraduate students at the Royal Academy of Music in Chamber Music, and I am a deputy viola teacher for the Young Musicians Programme, at Sage Gateshead, a weekend school dedicated to the most talented young musicians in the North East of England. The variety of my teaching experience means that I am able to carefully tailor my tuition to my pupils' individual needs. I can prepare for ABRSM exams, including Aural training and Music History. At the core of my teaching is my belief that music should be enjoyed. I therefore offer a balance of technique and musicianship, with a well-managed set of aims and achievements that can be created together with my pupils. I have found that this structure provides a good base for learning, being inspired, and having a fully-rounded and enriched musical education.